This post is part of a weekly series – Small Business Saturdays. Here are 10 11 tips for great pdf pattern instructions. List size measurements and corresponding materials and supplies needed. Remember to include notions – type of needle to be used, the size and type of zipper, elastic, buttons, etc. Make sure this information all falls onto one page, ideally with a picture of the item so sewists can print it if they want to take a printed copy with them to the fabric store. 2. Look at your font and color choices. A scripted or comical font might look elegant or fun, but do you want to read that for 87 pages? Use it for your pattern’s title or even section headers and then use something less distracting for your content. A nice clean font may look boring, but you will have lots of pictures to go with them. Here are some great choices. Keep in mind not all people will be able to print in color. 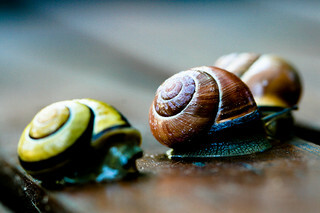 Some people are color blind – red and green may not be differentiable to them. Make sure your pattern and photos are useable in black and white. Do not abbreviate terms without including an explanation of that abbreviation in the first reference. Even better, include an explanation in the first reference and include a complete list of abbreviations that can be referenced. Confused by abbreviations in a pattern you are using? We have a list of common abbreviations right here! 4. Title the sections of the pattern instructions. * What shading is used for right sides of materials, wrong sides of materials, interfacing, etc. Do this even if you have the information somewhere on the pattern itself as well. * Recommended sewing methods, and if there will be different procedures to follow if one is sewing with a sewing machine or serger. * The seam allowance you have included. Or if you have not included one, where one should be added. –> If you aren’t including seam allowances, make sure shoppers are aware of this before purchase. Some people are not comfortable adding their own seam allowances to an item. 5. Keep your options clear. 6. Within each section, number the steps. 7. Read your instructions out loud and then follow them, step by step, before you send your pattern out for testing. * When you read things in your head, your brain will fill in missing words and overlook typos. * Combine instructions into a single step where appropriate. You do not win if you use the most words. Sew fabrics right sides together along outside edge. Place fabrics right sides together. Sew fabrics together along outside edge. * Put photos with each step and check your layout to make sure the photos and the text stay on the same page. * Use material that has a distinct right side/wrong side. Here’s one where I’m not even sure which side is which when I have it in my hand! If possible, choose a material with very obvious front and back sides. * Use thread that contrasts with the fabric. Here we have a fabric that is mostly yellow. The stitching on top is with white thread, the stitching below it is purple. You can see the white, but the purple is much more obvious. 9. Use testers with different skill levels and models of different sizes. It makes sense to have one or two testers try out your pattern to evaluate the instructions and printing of pieces, but will you be offering your pattern only in the sizes of their children? Do those children happen to be “standard” size? Do your two testers each have different skill levels? If you answer yes to all of those, you are done! Go forth and release your two sized pattern to the world! 10. Let your testers interact with each other during the testing process. If you can set up a group for them, they can ask questions as they go through the pattern. This keeps you from having to answer the same question multiple times and it allows testers to help each other. Not only will you have a very nice record of what might need to be clarified in your pattern, you will be able to see how other people do things. They might suggest something more efficient or just plain better than what you had originally planned. Do not be afraid to incorporate such changes. 11. Does part of your process seem like it needs 1000 detailed pictures to capture the motion of your steps? Consider video! If you have found some steps to be challenging for sewists during your testing process because they just can’t “see” what’s happening in the pictures, consider creating a video tutorial of just that part and linking it in your pdf. If you know of a tutorial or video that someone else has created that explains wonderfully how a technique is done, link up to it with a mention of thanks to the creator rather than reinventing the wheel. What would you want pattern designers to include in their instructions? You have a great pattern, you have used it for your child and now you have made it in different sizes and want to sell it! How do you plan to distribute it? Paper copies or pdf files? If you are planning to sell paper copies of your hand drawn patterns, you will need to either digitize the drawing on a large format scanner at the copy shop so you can have the copy shop mail out the patterns (if they offer such a service), or you will need to make copies to mail out. Will you have enough? What if you need to tweak the pattern after you have made 50 copies? Well, then you will have a lot of large doodle paper for your kids. Yikes! Today we are going to focus on pdf patterns. Pdf patterns are popular because they offer instant gratification to the modern seamstress. Delivered via email or instant download, a pattern can be purchased and then printed at home – some assembly required. Plus, they make it easier for you to send the files to testers. The US Mail system is great, but it never runs slower than when you are waiting for something! This photo by Jürgen Schiller García is used under Creative Commons license. How do you get that big pattern you have drawn out onto all those pages of a pdf? To do this, you will need a scanner and some kind of editing software. Adobe Photoshop and Illustrator are great, but if you do not already have one of those, you might want to check out InkScape or GIMP. Both GIMP and Inkscape are free, and are worth trying if you do not already own the Adobe products. Here are a few quick tips for your pattern pieces. Be sure to check the links above, as they include even more helpful pointers. 1) Include a test square to check size. Make sure to put 1″ square to verify printing on a page that contains a piece that will be used for all sizes of the pattern so someone does not have to waste paper and ink on a page they would not otherwise need. 2) Make sure fold lines and grainlines are clearly noted. 3) Each pattern piece should be clearly marked with who/what/how many. Pattern pieces tend to wander off from time to time. Labeling them can help get them back in their proper folder. What is the name of the pattern, and if the pattern has been through revisions since its initial release, which version is this? How many of the piece are you cutting and from what material(s)? 4) When you are done, print all the pattern pieces. Check that they all go together like you think they do. Once you have your pattern digitized, you will want to make sure your directions are clear. Pop over next Saturday when we give you 10 tips for pdf pattern instructions. First, the important notice: Sewing Mamas is a Craftsy affiliate, so if you click through to Craftsy here, Sewing Mamas will be compensated. This post is part of a new recurring theme called Small Business Saturdays. There are many seamstresses who have spent a lot of time sewing for their families and consider turning their hobby into a business. Each Saturday, we will post something helpful in that journey. This came through my email the other day, and I will admit, I was surprised by it. I have seen lots of indie pattern designs popping up on Craftsy. 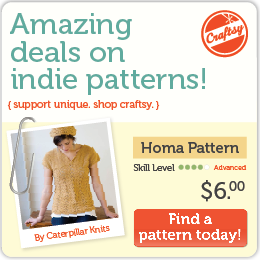 What I did not realize is that Craftsy does not charge designers to offer their patterns for sale. No listing fee. No commission on the sale. You set your price, a customer buys your pattern, and that sale goes directly to you. Of course, PayPal still takes their cut. You can sell both sewing patterns AND embroidery files! 1. A PayPal account – so you can get paid when your fabulous patterns sell! 2. Your pattern – in pdf format, or embroidery files in a .zip file. 3. A photo – because people like to see what they are buying! Knowing how hard pattern designers work to put together their patterns, I love the idea of shopping for them on Craftsy knowing that my purchase goes directly to the designer. Have a great pattern that you would like to get ready to sell? Stop by next Saturday for a discussion of how to take your pattern from a hand drawing to a digital download! Happy Sewing, Selling, and Shopping!